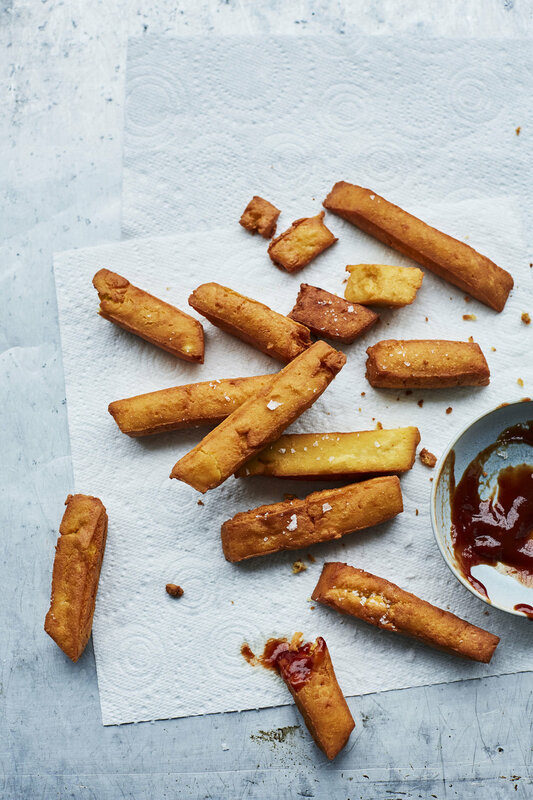 delicious fermented chickpea polenta chips, eaten with probiotic ketchup. caramelised onions and chestnut flour pair beautifully in this creamy quiche with a gluten free crust. 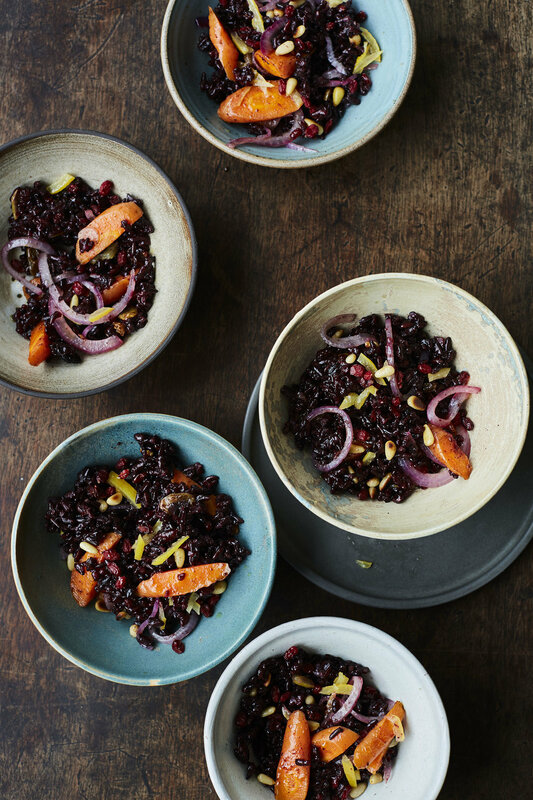 Black rice is highly anti-oxidant and deliciously rich and nutty. This salad combines gut friendly resistant starch with colourful anti-inflammatory veg. A delicious probiotic alternative to fizzy drinks, water kefir can be flavoured with all sorts of things. Here I've combined rhubarb and rose and also fresh ginger and date syrup. Courgettes come alive when you griddle them and dress with a piquant salsa verde, full of summer herbs.